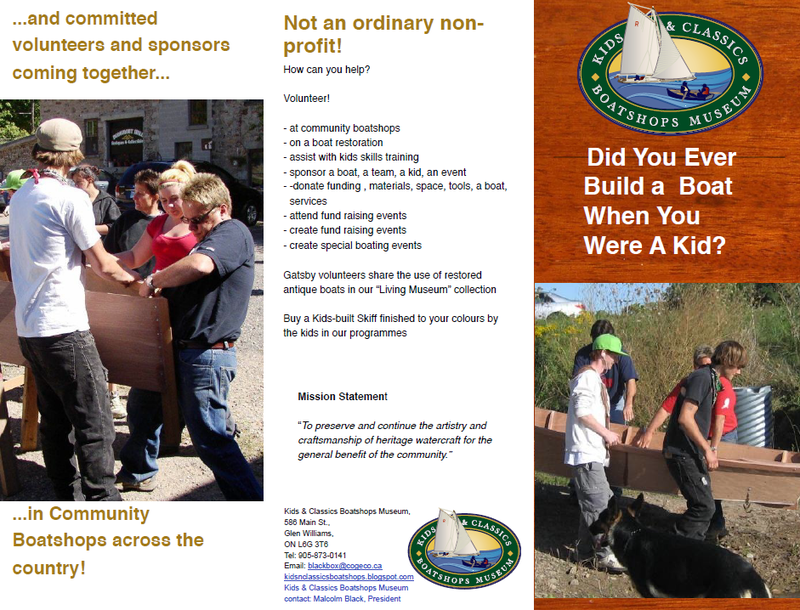 Kids & Classics Boatshops Museum is a not-for-profit, volunteer community boat shop which restores and builds boats and involves youth at-risk (and not-so-much-at-risk). When the boats are done we take them to shows or create events that get folks out on our antique boats. The boats have been donated over the years. The Boatshops Museum is located in Glen Williams, a small hamlet near Georgetown and not far from Mississauga, Ontario. Malcolm Black, the key player behind this wonderful initiative, reports that since 2009, some 35 skiffs have been built and sold to help keep the organization operational. As well as the sale of skiffs, the organizations sells off donated boats to raise funds. 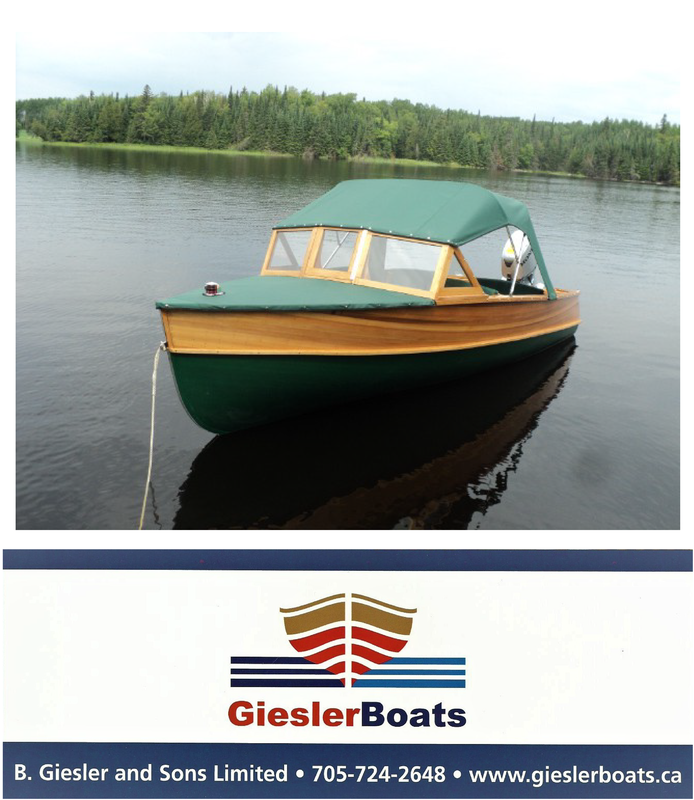 (Ad number pb719…a Giles yawl) listed on our “Non Motorized Boats” page is one of the donated boats for sale. Usually four youths at a time will work on a skiff in the shop. Sometimes, the authorities will bring in eight to ten “youths at risk” for sessions with the boats. 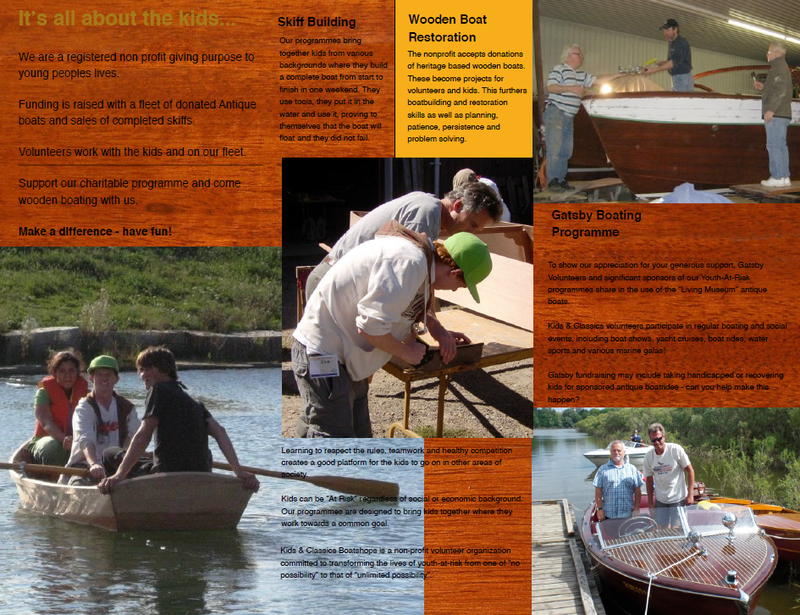 The programme helps to build social skills, teamwork, manual skills confidence. Hats off to Malcolm and his volunteers. For anyone interested a similar community based programme, the organization’s contact information is contained in the flyer below.